Have you been saving labels, points, commemorative or foreign stamps? If yes, now is the time to gather them up & turn them in by Sunday, May 1st. 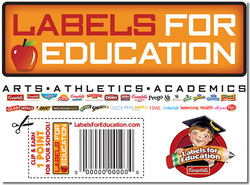 • Front labels from Campbell, Swanson, Franco American, Mrs. Paul, Prego, Pepperidge Farm or Vlassic….. This is a great way to recycle & to help support hunger & education funds.